Genuine or Synthetic, There is Beauty in All Our Selections! 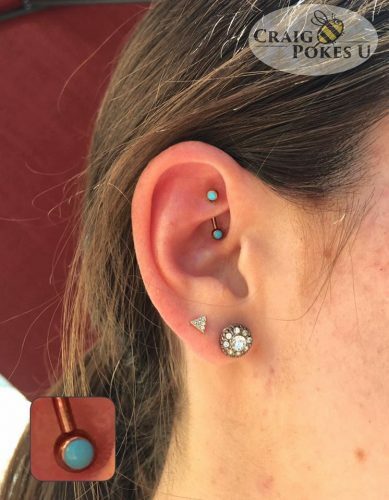 Head-turning synthetic turquoise set in implant grade titanium we Anondized Rose Gold in house here at CraigPokesU Studio for her rook. Our client loved that we were able to remain in her fiscally responsible budget while still retaining the jewelry aesthetic she wanted.